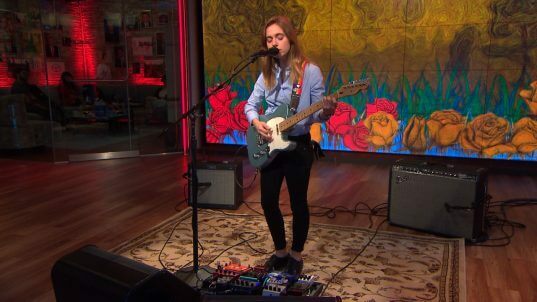 Today marks the release of Julien Baker’s hotly anticipated — and ridiculously well-reviewed — 2nd album, ‘Turn Off The Lights’. Baker’s global touring continues with tonight’s show at New York’s Town Hall, and tomorrow she’ll make her national TV debut on “CBS This Morning”. order ‘Turn Out The Lights’ from The Matador Store LP version with or without a bundled t-shirt or on compact disc.